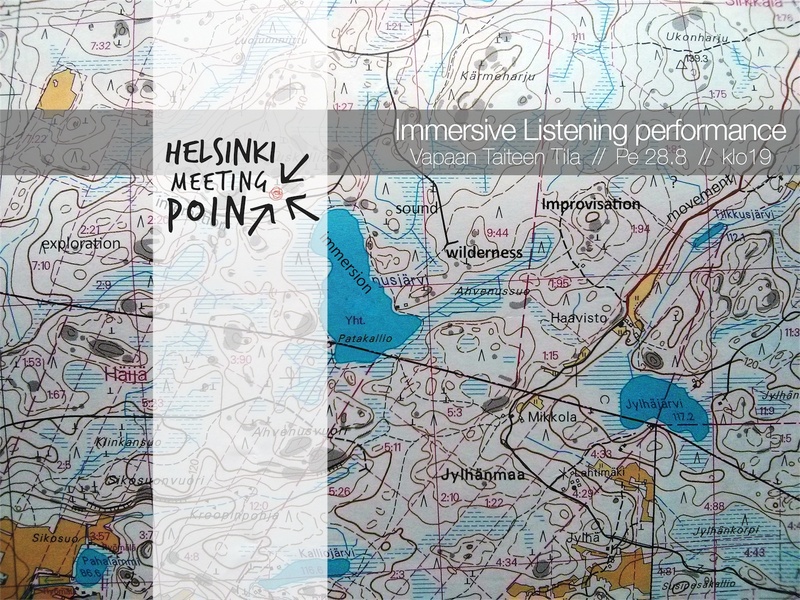 The Helsinki Meeting Point is presenting the work of an IMMERSIVE LISTENING research project where five improvising artists spend three nights in a cabin near the wilderness and return straight to Helsinki to perform. The research question is how being in the wilderness affects improvisation, and the focus is on ways in which we relate to each other (and to improvisation itself) and ways in which we listen/tune-in (to oneself, to the other, to the environment). The event starts with an open discussion between the participants on what happened during those three nights and their perspective on the topic. The group will then perform an improvisation as a reflection on the process, followed by a Q&A with the audience. Coffee, tea, and biscuits will be available throughout the event. This is part of Laonikos’ final thesis project, investigating how being in the wilderness affects improvisation.